Premium whey packed with 21g of protein per serving, for the everyday protein you need from a quality source — with all-natural nutritionals, it's ideal for all of your fitness goals. 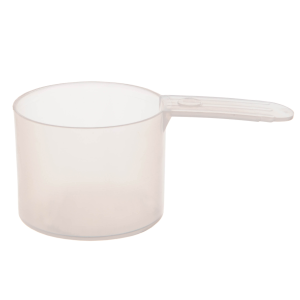 Get yours in over 40 flavours, with delicious favourites including Chocolate, Vanilla, and Strawberry Cream. 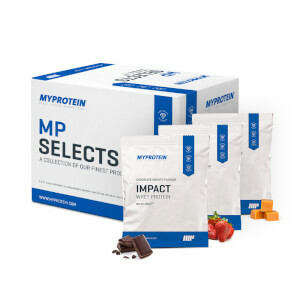 It’s convenient, high-quality protein that helps grow and maintain important muscle1 — and with just 1.9g of fat, 1g of carbs, and only 103 calories per serving, it’s here to support all your fitness goals. It also includes the essential amino acids, including 4.5g of BCAAs — these naturally occur in protein which helps to build and repair new muscle1 — so you’re always ready for the next session. Nutritionals based on Unflavoured version. 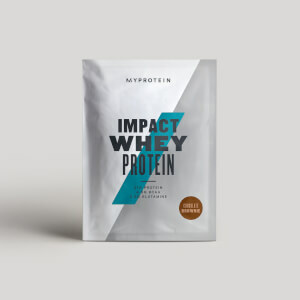 When to take Impact Whey Protein? It’s fast absorbing, so we recommend adding 1 large scoop (25g) to water or milk 30-60 minutes post-workout — but it’s ideal any time for a convenient way to get the protein you need. What does Impact Whey Protein work well with? 2. Creatine is proven to improve physical performance in successive bursts of short-term, high-intensity exercise. The beneficial effect is obtained with a daily intake of 3g creatine. For allergens, see ingredients in bold. May also contain egg. Chocolate Cereal Flavour: Whey Protein Concentrate (Milk) (91%), Emulsifier (Soy Lecithin), Cocoa Powder, Flavouring, Sweetener (Sucralose). Cinnamon Roll Flavour: Whey Protein Concentrate (Milk) (95%), Flavouring, Emulsifier (Soy Lecithin), Sweetener (Sucralose), Salt. Fruity Cereal Flavour: Whey Protein Concentrate (Milk) (96%), Emulsifier (Soy Lecithin), Flavouring, Sweetener (Sucralose). Orange Cream Flavour: Whey Protein Concentrate (Milk) (96%), Emulsifier (Soy Lecithin), Flavouring, Colour (Carotenes), Sweetener (Sucralose). Chocolate Cake Flavour: Whey Protein Concentrate (Contains Milk and Soy) (93%), Flavouring (Cocoa Powder, Flavouring, Sweetener (Sucralose)). Victoria Sponge Cake Flavour: Whey Protein Concentrate (Contains Milk and Soy) (95%), Flavouring (Flavouring, Salt, Sweetener (Sucralose)). Birthday Cake Flavour: Whey Protein Concentrate (Contains Milk, and Soy) (92%), Sprinkles (Sugar, Wheat Starch, Water, Glucose Syrup, Beetroot Concentrate, Vegetable Oil, Colours (Anthocyanins, Curcumin), Glazing Agent (Beeswax)), Flavouring, Sweetener (Sucralose)). Great fast delivery Got 2 protein flavours delivered: chocolate smooth and banana. Chocolate was nice mixed with water but banana not so much. No worries though when blended with other ingredients. I've used many a protein powder and this is the one I'll be coming back for. Cycling between convenient store powders and generic ones from the local supp shop, I'd gladly pay the extra shipping price (my area is always a struggle for packages) for this. Will be coming back! Cheers. I love the flavour of this protein, I put it in the blender with frozen mango and it enhances the flavour, simply delicious to have. I absolutely love this protein powder. Easy to mix taste great! I sprinkle vanilla powder on my bland breakfast for a tastebud changing taste! My protein shake cup makes it easier to drink mixed with Almond milk on the way to work. I have an Auto Immune Disease which i find Whey protein helps me have the energy i need to get through my day. Fast delivery and a good quality product. I will be investing in the vitamins next delivery. Very satisfied customer. Thanku! Almond milk mixed with vanilla protein powder, and sprinkled on my breakfast which is oats ,chai seeds,lsa meal soaked in almond milk. I got the salted caramel and it is one of the first powders ive gotten that was caramel and actually tasted like caramel. 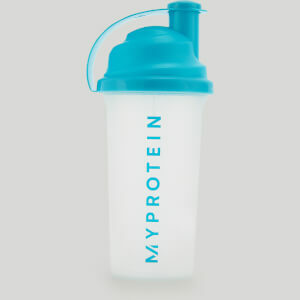 I have been using another brand, but thought I'd give MyProtein a try. Got the Chocolate Brownie flavour, and maybe it's specific to this flavour, but it leaves a very artificial aftertaste with each gulp. The gods have gifted us with a healthy bbt alternative. Now you will get your cravings satisfied while making gains. No more will you spend $$$ at Gong Cha. 11/10.